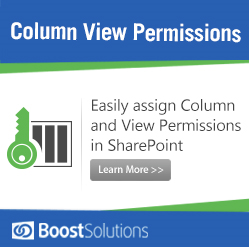 With SharePoint Boost’s Cascaded Lookup you can upgrade and enhance your default SharePoint Lookup experience with additional features and functions. With the added power of SharePoint Boost’s Cascaded Lookup you get an extraordinary Parent-child relationship with the ability to broaden your lookup data and at the same time trim down your choices as you progress down and start specifying data in each dropdown menus, saving you valuable time with filtered choices. The new 4.0 release came out in March 2012 and has a 30 day trial period. 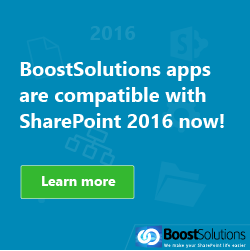 If you are in the market for other great add-ons from SharePoint Boost, you can get a 30% discount off a package which includes: Cascaded Lookup, Cross-Site Lookup and Lookup Tracker. Here is an overview of the great features that were available in release 3.0 such as the ability to build a single parent-child relationship; Set combination of filters on the source or target list to filter items in lookup field; Display selected columns of the source list in view item form; Conversion among SharePoint Lookup column, Cross-Site Lookup column, and Cascaded Lookup column; Keep Cascaded Lookup settings when converting into SharePoint Lookup column; Filter lookup items by view; Support look up items by folder mode; Remove the duplicated lookup items; Build multiple parent-child relationships with no limitation on the number of cascading levels; Support filter lookup items by multiple columns; Support to look up information from “Date and Time” and “Number” columns; Support Multiple Choice, Multiple SharePoint Lookup, Multiple Cross-Site Lookup, and Multiple Cascaded Lookup columns as parent column; Supports the displaying of additional columns from lookup list; Support of adding new items in the source lookup list by the “Create new item…” link; Supports the Cascaded lookup as a site column; and Improved lookup performance.. These are all excellent features that enhance the ability of SharePoint and if you have used version 3.0 then you will already know how great these features are at streamlining your workflow. But you are now asking what additional features do I get in the new release? Here are some of the new features available for you in release 4.0: Support for exporting Cascaded Lookup column data to Microsoft Excel and Microsoft Access database; Link Share Point list to Microsoft Access database, support view and edit Cascaded Lookup column data; Support for managing Cascaded Lookup column data in Microsoft Word; and Support syncing Cascaded Lookup column data to SharePoint Workspace. How do you get the most out of Cascaded Lookup? In order to exploit the outstanding features of Cascaded Lookup you will first need to set up several things. The first thing to set up is the Source List. The Source List is where Cascaded Lookup will refer to information and includes any site in the current site collection. 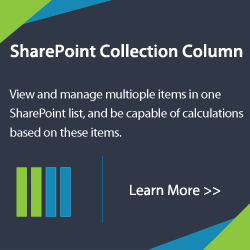 The second thing you will need to set up is the Source Column. The Source Column is located within the Source List and will contain the data for your dropdown menu. The third thing to set up is the Filter Column, also located within the Source List. The Filter Column is used to filter out irrelevant data from the Source Column and is also a dropdown menu. The last thing to setup is the Parent Column. The Parent Column is located in the target list. The target list is where you want to add looked up information. 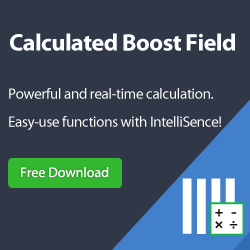 With this set up you will be ready to harness the full power and potential of Cascaded Lookup. Still not sure how to set something up or need more information. Not to worry, with an online tutorial, demo, and Frequently Asked Questions section you can you be on your way to looking up and finding your data in no time. So move quickly and take advantage of this powerful add-on and be on your way to full productivity and fast data location. So what are you waiting for?